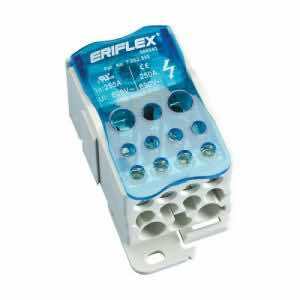 Single Pole Distribution Blocks are Low Voltage-Modular to allow versatile building of power blocks. 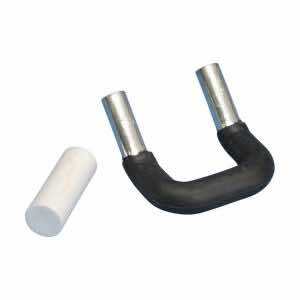 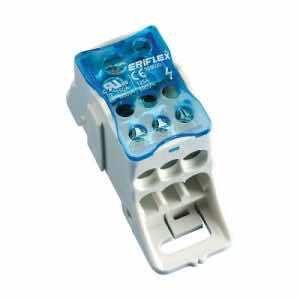 They come available with a screw retaining transparent blue cover to allow visual inspection of the wire and connection. 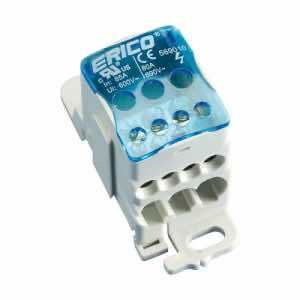 ERICO’s power distribution blocks come halogen-free with tinned copper block and either copper or aluminium cable. Modular:Keeping only one input, the blocks can be supplied in parallel using a jumper.Easily double the neutral. 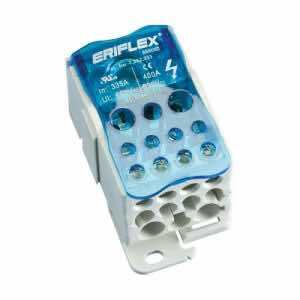 UL recognized, IEC certified and RoHs compliant.